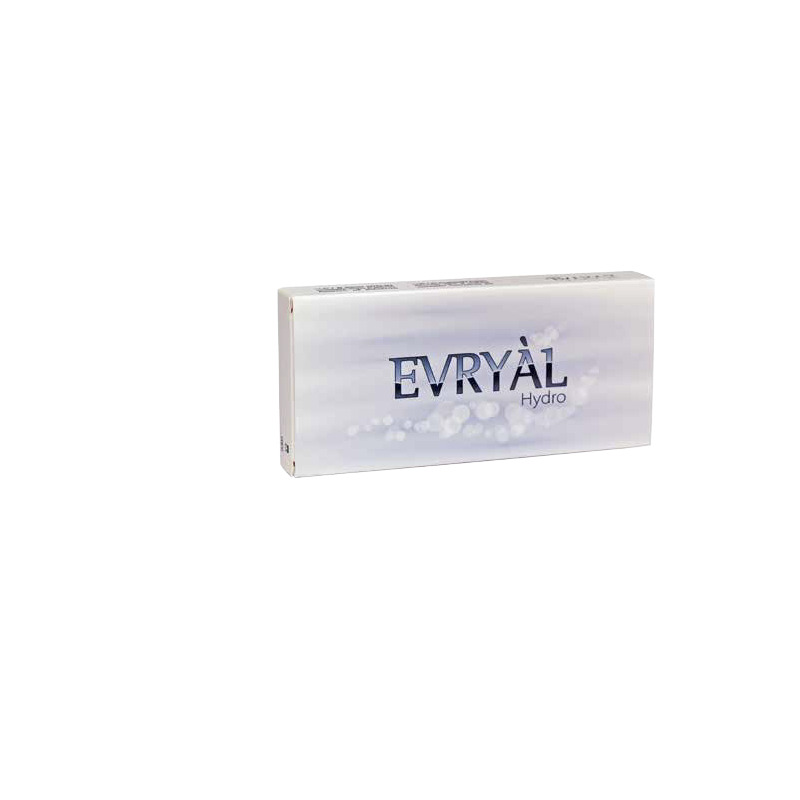 Hyaluronic acid Revitalizing EVRYÀL Hydro in pre-filled syringe 2ml. 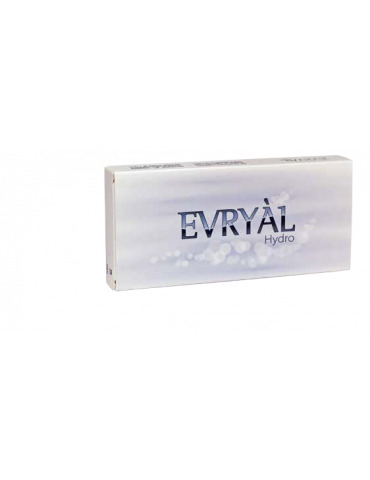 EVRYÀL Hydro is a medical device consisting of a sodium salt of hyaluronic acid in a sterile, apyrogenic, transparent and viscoelastic. Skin aging is a natural, progressive process. It occurs in a series of physiological changes which cause loss of moisture, elasticity and luminosity of the skin. 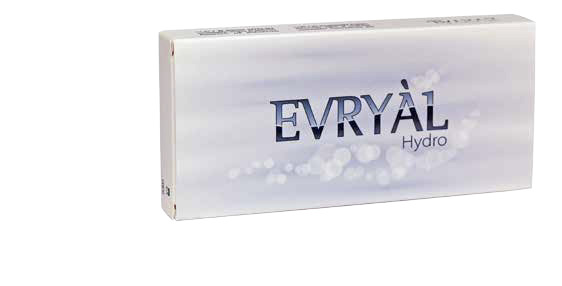 The use of the natural product, hyaluronic acid, contained in EVRYÀL Hydro can restore youthfulness to the skin. EVRYÀL Hydro can be used on large areas of the body for personalised anti-aging treatment aimed at prevention, restructuring and maintenance. Complete bio-restructuration. 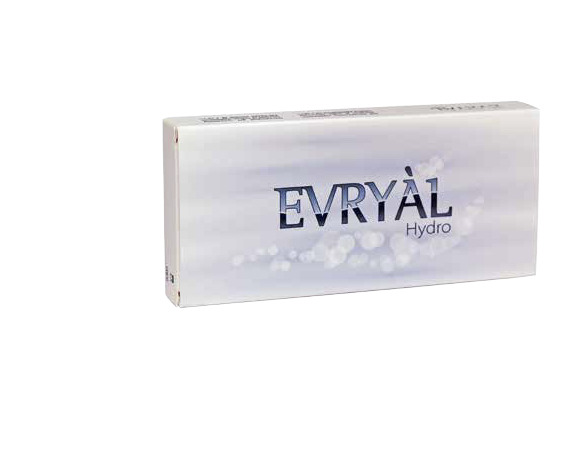 Thanks to its composition, EVRYÀL Hydro can be used to treat all types of patients on the basis of their speciic needs. Depending on a medical assessment of the patient, diferent injection techniques can be used: LINEAR, LATTICE, MICRO-DEPOT, MIXED. 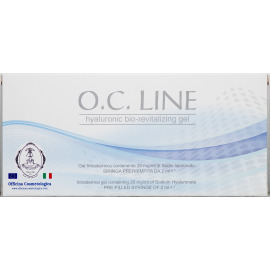 It’s indicated for the biorevitalization of the: neck, décolleté, back of hands, face and around eyes. 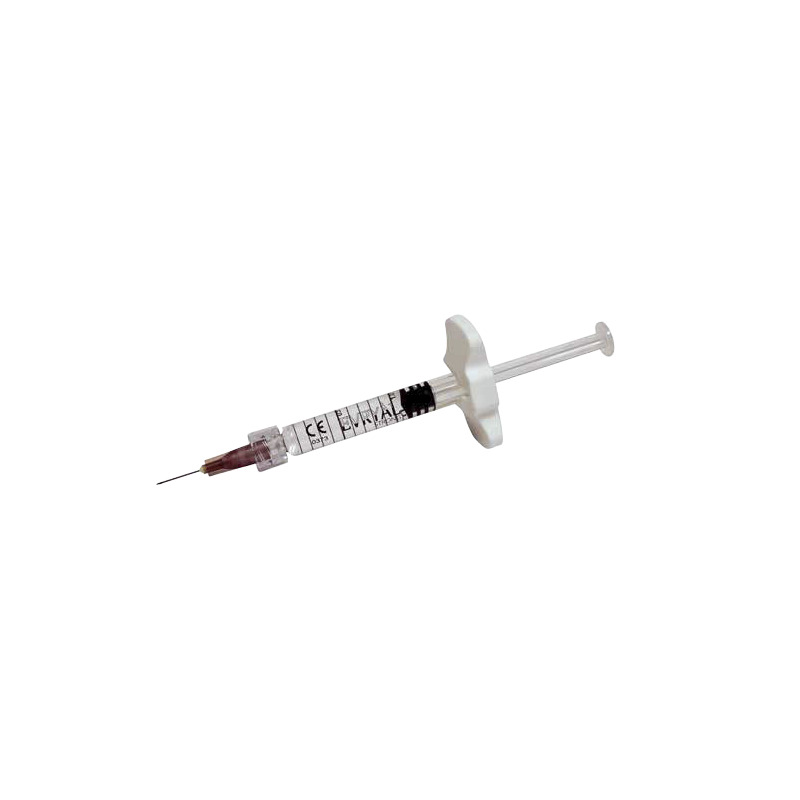 PRE-FILLED DISPOSABLE SYRINGE, 2 ML. 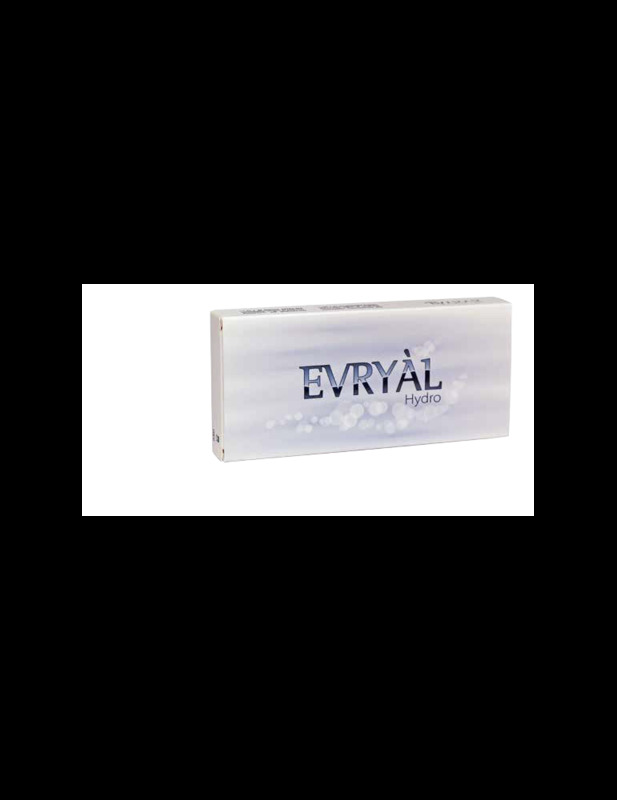 Evryàl is produced in Italy by Apharm S.r.l.